We had a quick chat about Christmas cards the other day at work and it was interesting to see that there were mixed opinions. A few that said, it wasn't their thing and others who said they liked them. I for one am in the camp of loving them. Ok fine I was probably the most vocal about loving Christmas cards, but there's a reason why. In the Green household (ie: my small family of 3), Christmas cards are kind of a big deal. Sadly I can't take any credit for it because Matt is the brain child behind it all and since we seem to always out do ourselves every year based on people's reactions, I'll continue to let him have this one. 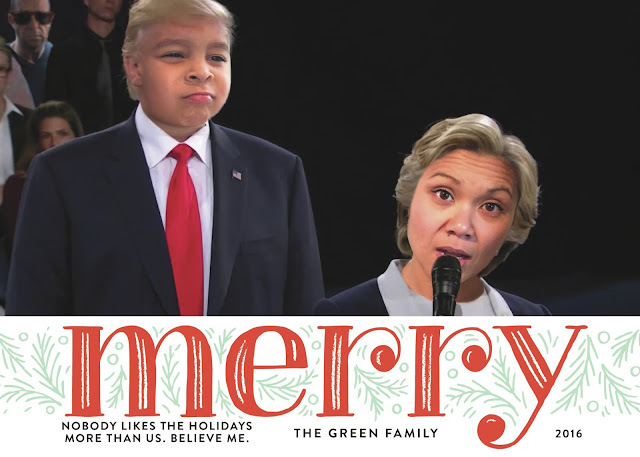 While we're not a family to follow traditions, our Christmas cards are one that we're known for and while they can be somewhat offensive to some, our cards have one purpose: Bringing joy to our friends! 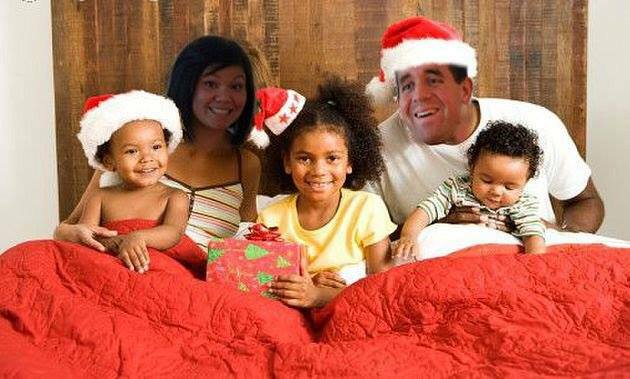 It all started back in 2010 when my husband, the man with the driest sense of humor, decided that we were going to super impose ourselves onto another family's Christmas card to bring the gift of laughter to our loved ones. What started off as an experiment, and meant to be only a one time thing, has evolved into this conversational piece during the holiday season that has people asking us to include them on our mailing list and saying things like, "I can't wait to see your holiday card this year!" One year we placed our faces over the nativity scene, myself as Mary and Matt as Joseph. And when Liam was born we upped our game. 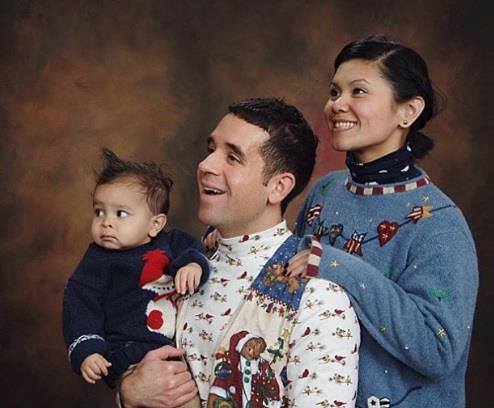 Taking on those awful 80s photos headfirst and posing for family portraits in ugly Christmas sweaters a la Awkward Family Photos. As you can imagine, the woman at the Target portrait shop was having fun with our request. Poor Liam was born into this tradition and until he's 18, or finally realizes what kind of embarrassment we are as parents, he's kind of stuck with it. Since the first card, we've evolved our approach, tackling on current events. Taking the most buzz worthy moments of the year and placing ourselves in those memorable events. With 2016 being focused on politics you can imagine that we had to follow the biggest news of all and Liam had no issues nailing this facial expression on the first try. So you see, while Christmas cards are a great way to wish your friends and families a happy holiday, we see it as something a little more. While we would love to provide gifts to many of our friends, the closest we can get to it is the gift of laughter. It's a gift of small monetary value, but our offering behind it is whole hearted.